Since this year is the 100 anniversary of the end of World War 1 AND I don't have any WW1 models finished, here is the next project on the bench. 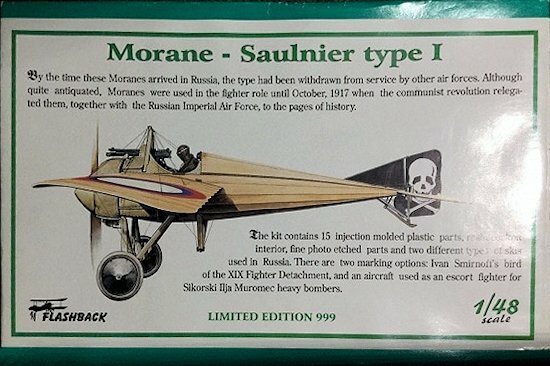 The plan is to use the necessary bits from the Flashback kit (which is apparently the older Eduard moulds) to update the Eduard kit, and convert it to a Type I as used by the Imperial Russian Air Service during World War I. 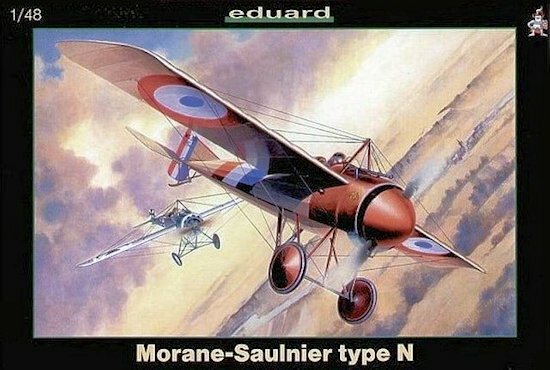 The main differences between the Type N and the Type I are the engine, the propellor blades, the gun and the control surface trailing edges, as well as no stitching on the side of the fuselage. 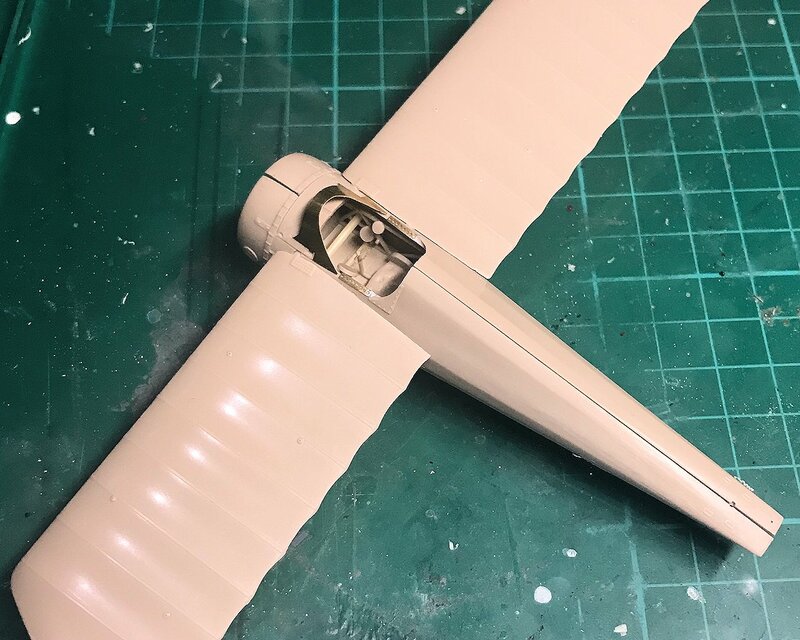 The engine and gun will be taken care of by the aftermarket resin, the correct blades are in the Flashback kit, the stitching is easily removed and I have a plan for adding the scallops to the control surface trailing edges, so should be pretty easy to do. Last edited by Craig Sargent; May 27th, 2018 at 05:43 AM. This is state of play after spending last night and some of today at it. Cockpit is mostly assembled and now waiting for a paint session. 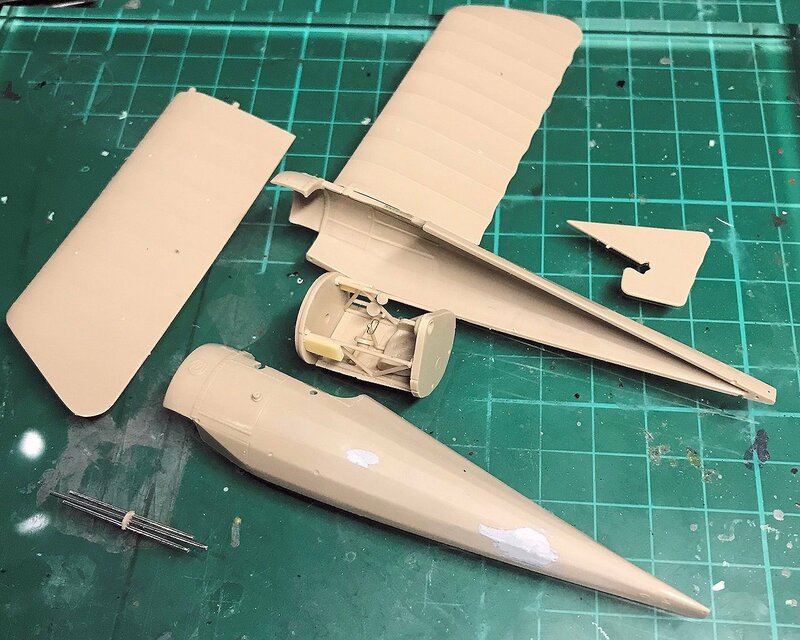 The stitching on the fuselage side has been sanded off and a couple of areas that were damaged (kit was second hand) have been puttied and will be sanded once dry. The starboard wing and rudder have had the scallops added to portray the look of the real aircraft. The port wing is there for comparison and yet to be done. 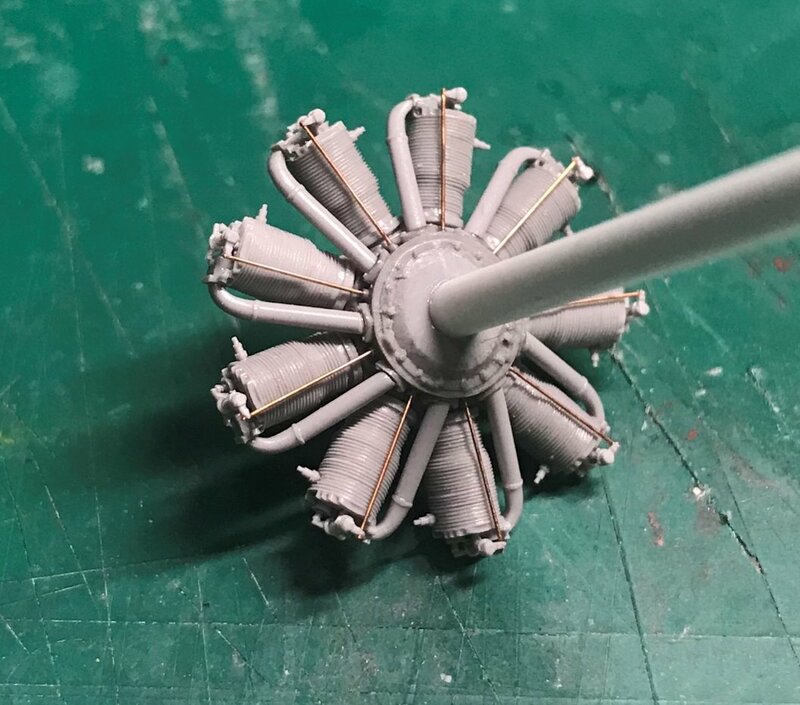 The three metal rods are the centre section of the landing gear from the Flashback kit and have been added to the modified Eduard axle piece (axles cut off and holes drilled to fit tubes). The Flashback etched perforated section has been added to the edges of the cockpit. This is a fun build so far. That may changes when it comes to add gear and rigging. Slowly progressing. Adding the Flashback etch and resin to the Eduard kit. Scalloped trailing edges on the main wings done. Test fit good so far. 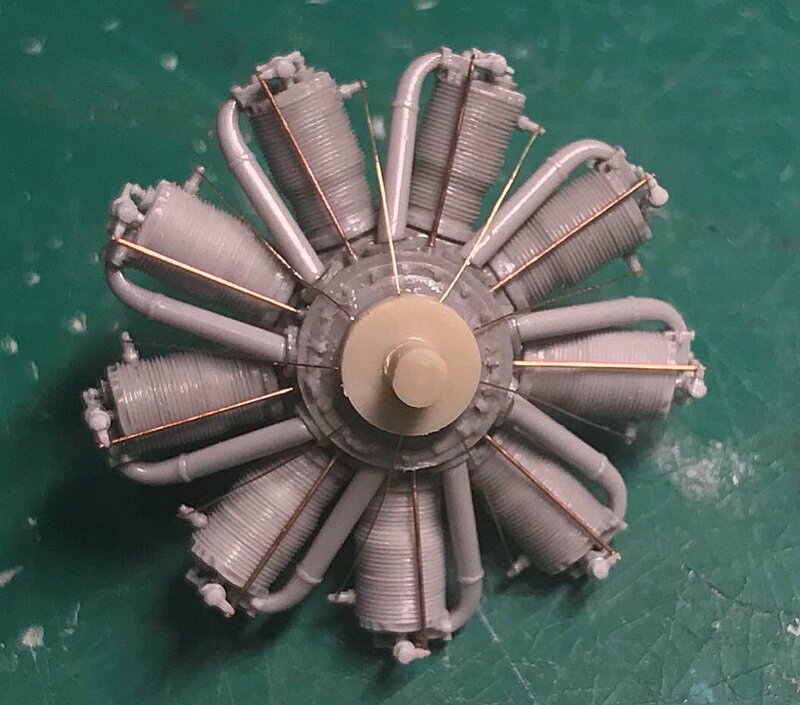 The engine is now fully assembled and ready for painting. 65 parts in the end, but I think it’s worth it. 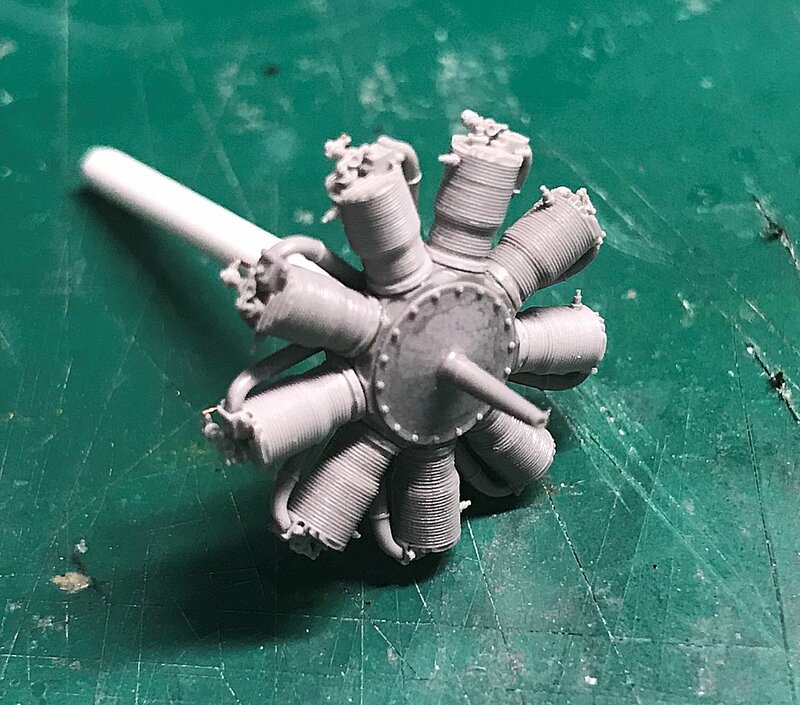 I had the engine mounted on a styrene rod while I was assembling it. Once assembly was complete, I removed the styrene rod and fitted the kit mounting piece, suitably modified, and then added the ignition wires to the spark plugs. 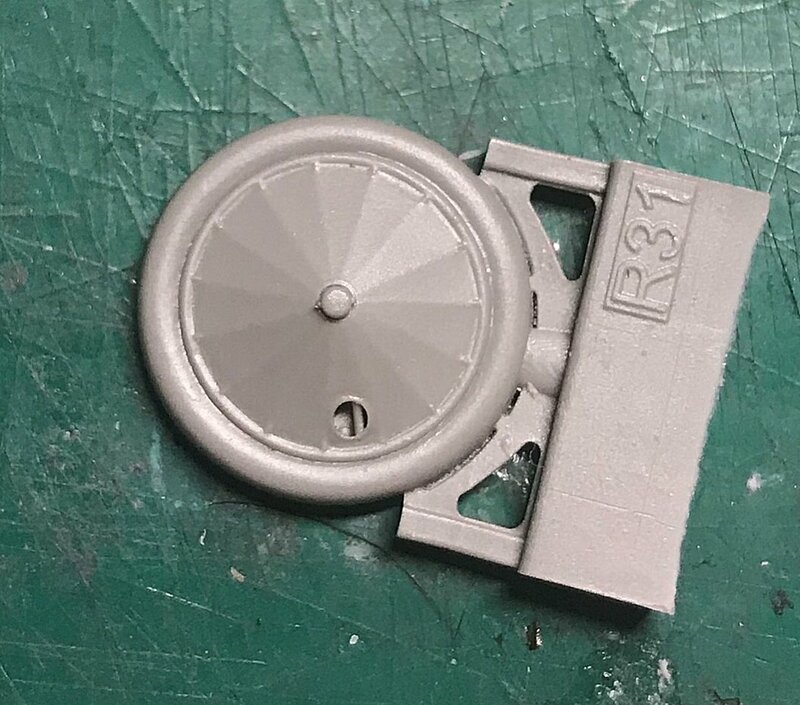 I also ordered the Brassin SE-5A wheels as the detail is light years ahead of what the kit provides and the wheels were pretty much identical between the types. Last edited by Craig Sargent; May 27th, 2018 at 05:50 AM.